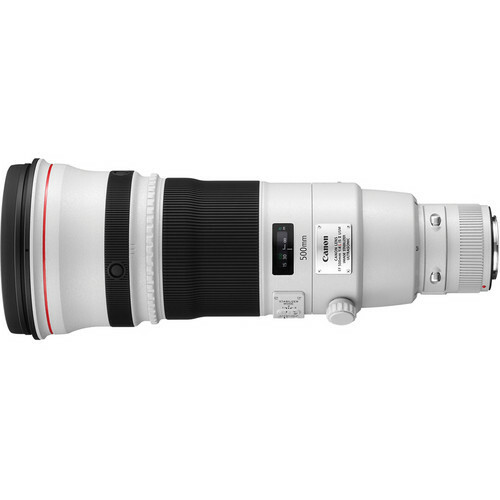 Canon decided to revamp the famed EF 500mm f/4.0 L IS USM and launch an II version of the lens. They packed a few interesting features too to make this lens even better than the predecessor. One of these features is not obvious however and one has to pick up the lens mounted to a camera to understand it; this lens is light! The fluorite optics has been completely redesigned leading to reduced color fringing. Apart from IS I and IS II modes Canon also developed a third IS (Image stabilization) mode which engages the image stabilization system only when the shutter button is fully pressed. This eliminates the lens trying to compensate for camera movements when composing the frame. Overall image stabilization system in the lens provides it up to four stops of compensation against camera shake (or four stops faster shutter speed when hand-held). The angle of view is super narrow at only 5°. 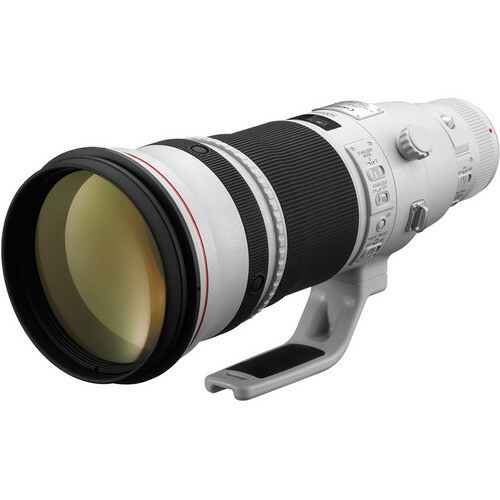 Auto-focusing performance is very good and the ring-type USM (ultra-sonic motor) technology ensures that this lens does not disappoint.